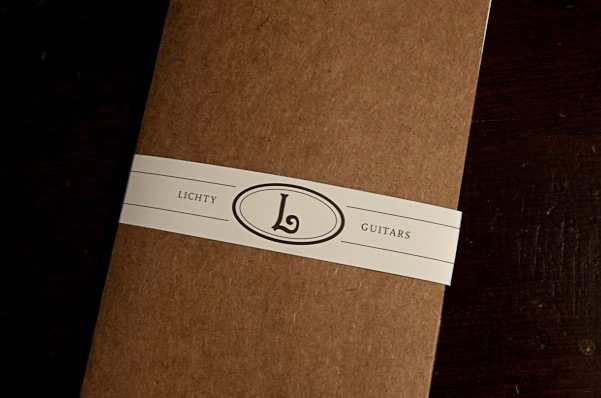 We may be bias, it’s true, but we believe that few gifts can top a custom handmade acoustic guitar, ukulele or fiddle for the holidays, for a birthday, for graduation, for a retirement, for an engagement or wedding gift, or to celebrate any milestone. Talk about the gift that keeps on giving! There is the awe that comes when your loved-one finds out they have just received a certificate for a custom handmade instrument. There is pure joy of helping with the design of their custom instrument. There is that breath-taking moment when the first note is strummed. And, last but not least, there is the lifetime of playing and enjoyment that follows. Jay, thank you so much for getting the guitar to us so quickly. Daniel has been enjoying it and thinks it’s the coolest thing. Thank you again for providing such a beautiful, unique and useful gift. I know we will enjoy it for many years to come. 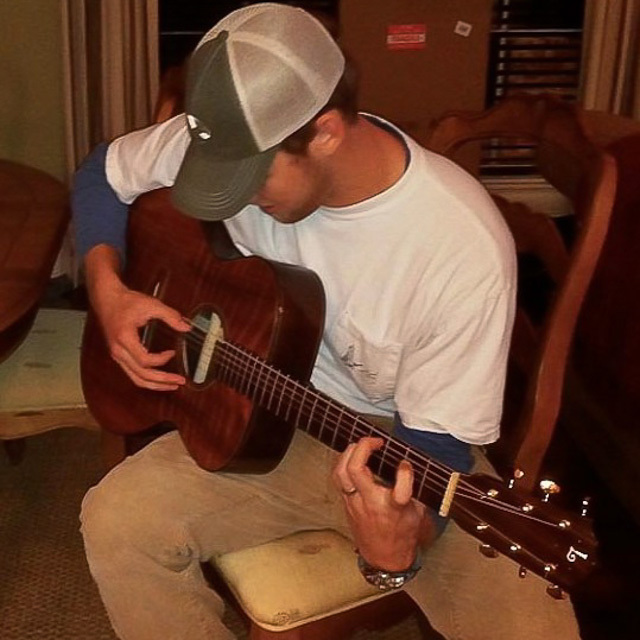 – Adair Bard who purchased a guitar for her husband Daniel. Give an instrument that we have in stock. Look to the instruments we have available for immediate purchase. 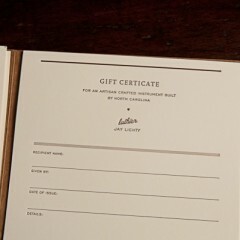 If you see something that would make the perfect gift simply contact Jay. Contact Jay via email or phone to discuss this special purchase. 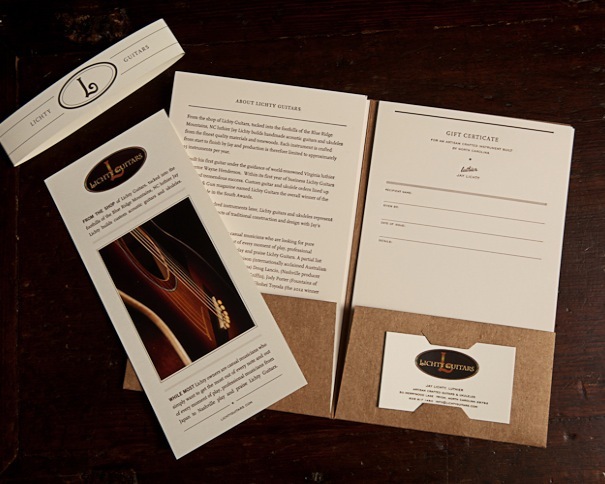 You’ll choose a gift certificate based on any amount you would like to spend and the options you would like to have available (beginning price is $3,500 for custom ukuleles, $5,200 for custom acoustic guitars, $5,000 for custom fiddles + tax and shipping charges). 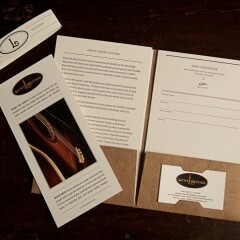 Please look to our Custom Guitar, Custom Ukulele , and Custom Fiddle pages to learn more. You can get an approximate cost via our Price Estimator. 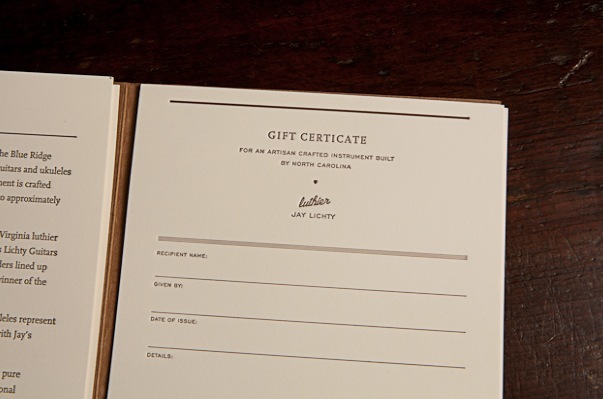 We will send you a Gift Certificate via mail or email made out to your loved one, along with an order form with available options (based upon the amount of your gift) to choose from. The recipient contacts Jay to begin the design process. 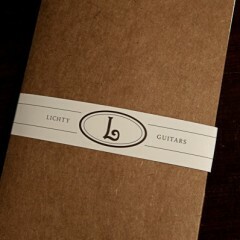 Upon completion, the recipient receives a Lichty Custom Instrument designed for them and signed by the luthier along with a photographic journal on a zip drive of their instrument being built. 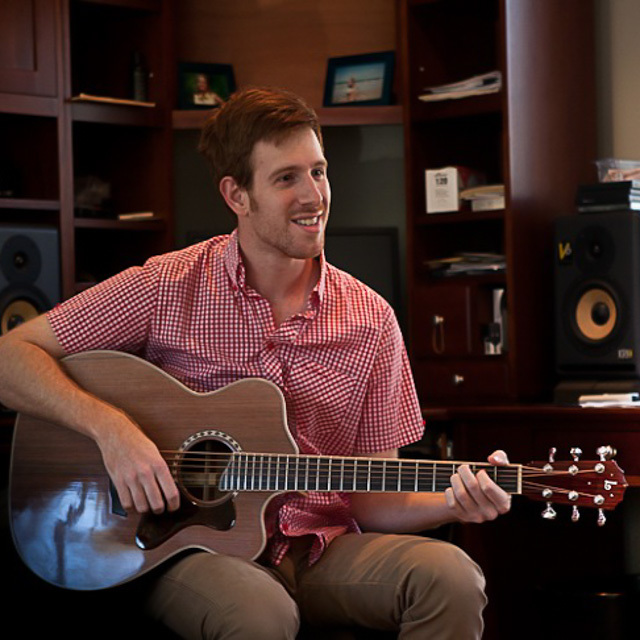 Average prices (including guitar case and shipping) range from $5,200 for a traditional Mahogany or Indian Rosewood guitar to $8,000+ for a highly customized guitar with our premium woods and features. 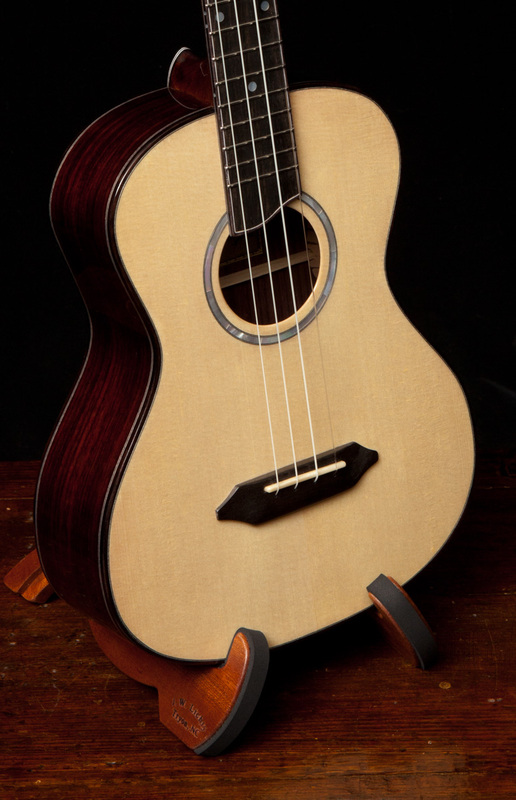 Ukulele prices (including hard-shell case and shipping) start at $3,500. 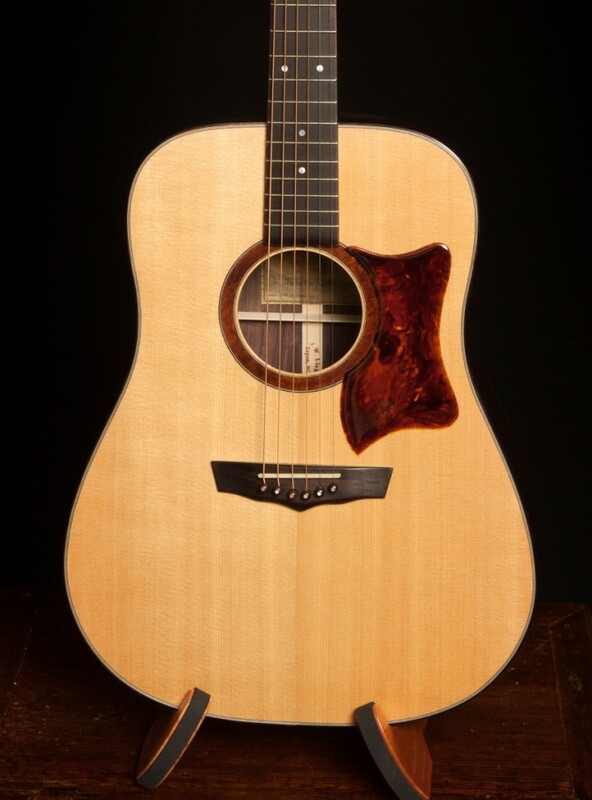 Private reserve sets of wood with multiple custom options are typically from $4,500 to $6,500.